Washington, D.C. (March 21, 2019) — In a busy 33rd meeting in Bonn, Germany last week, the Adaptation Fund Board approved new project proposals totaling about US$ 32.5 million, and advanced the transition process forward to help the Fund serve the Paris Agreement in a smooth manner. The Board also accredited the Ministry of Water and Environment of Uganda as the Fund’s 29th national implementing entity (NIE) under its pioneering Direct Access modality, which empowers country ownership in climate change adaptation. The Board approved new Direct Access projects in Armenia and the Dominican Republic, as well as a project in Bangladesh and the Fund’s first regional project in Eastern Europe — in Albania, Montenegro and North Macedonia. The Board additionally endorsed 11 project concepts and pre-concepts, and approved US$ 170,000 in project formulation grants to help further develop them. While it technically cleared three full additional regional projects, since it reached the US$ 60 million cap for regional project funding for the current fiscal year the Board deferred formal approvals of those projects until the start of the next fiscal year on July 1st when another US$ 60 million in new funding for regional projects becomes available. The Board established a waitlist in the meantime for regional projects recommended for approval. The other three regional projects that were recommended for approval by the Board will be considered for funding in July by remote intersessional decision. They total about US$ 39.5 million across projects in Benin, Burkina Faso and Niger; another in Comoros, Madagascar, Malawi and Mozambique; and one in Argentina and Uruguay. 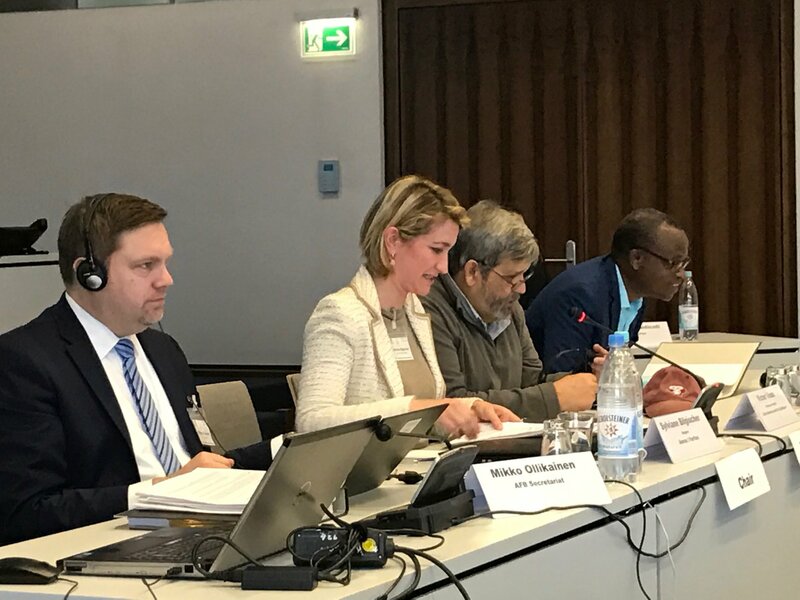 The start of the Board meeting featured its annual change in leadership as Ms. Sylviane Bilgischer of Belgium became the new Chair and Mr. Ibila Djibril of Benin the Vice-Chair. Bilgischer congratulated outgoing Chair Mr. Victor Viñas of the Dominican Republic for the leadership he showed over the past year. She praised the Fund’s excellent results at COP 24 in December, which included decisions where the Fund is now formally serving the Paris Agreement and a record amount of new pledges raised. Several new Board members and alternates joined the meeting, as well, from the Bahamas, Fiji, Germany, Italy, Malawi, Spain and Sweden. Among other key decisions by the Board, it decided to explore in consultation with civil society and draw on lessons from other climate funds, various options to further enhance civil society participation and engagement in the work of the Board and prepare an analysis for the next Board meeting. It also decided to consider extending the reaccreditation process for national implementation entities that are actively engaged in concrete projects to allow more time to comply with the process while those projects are being completed. The key decisions by the Board related to the Paris Agreement followed the recent landmark decisions at the COP 24 climate change conference in Poland in December, where the 197-member Conference of the Parties serving as the meeting of the Parties to the Paris Agreement (CMA) decided the Fund “shall serve” the Agreement in a formal manner starting on January 1st, 2019. The decision recognized the Fund’s concrete adaptation work to the most vulnerable and its effectiveness in building national capacities to adapt to climate change through Direct Access. Among those decisions, the Conference of the Parties serving as the meeting of the Parties to the Kyoto Protocol (CMP) requested the Adaptation Fund Board to consider the Board’s rules of procedure, institutional arrangements of the Fund with respect to the Paris Agreement and any other matters to ensure the Fund serves the Agreement smoothly. 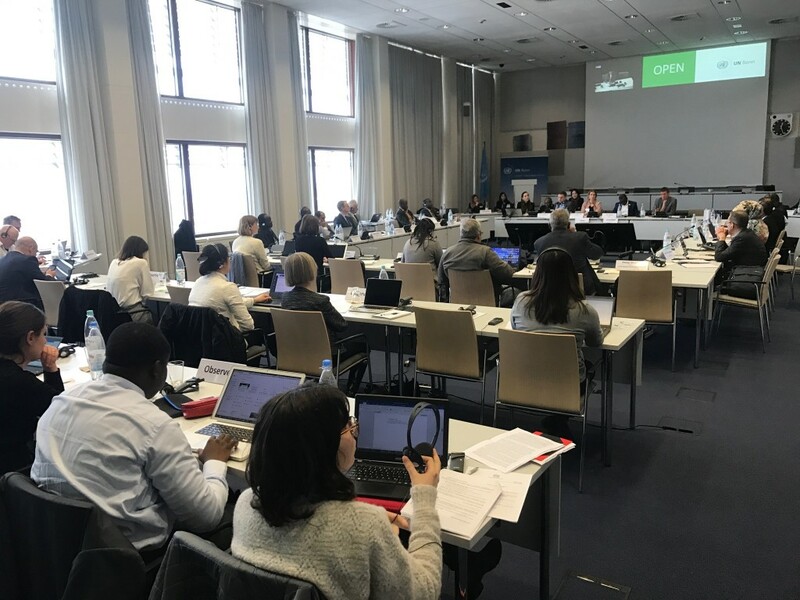 In advancing that matter, the Board decided to request the Fund to prepare for inclusion in the Board’s report to CMP 15 at COP 25 in Chile in December 2019 possible Board recommendations on those tasks and submit a draft for consideration at the October 7-11 Board meeting in Bonn later this year. It also asked the Secretariat to consult in the process with the Global Environment Facility (which currently hosts the Fund), World Bank (which serves as the Fund’s trustee) and UNFCCC Secretariat. It further established a task force composed of eight Board members to provide further guidance to the Fund in defining the scope of the elements to be included, and scheduled an abbreviated Board meeting for June 28-29 at the end of the upcoming UNFCCC Subsidiary Bodies meeting in Bonn to help propel the work forward in an efficient manner.